How to scare an anxious person. How many of these things scare you? People who are high in anxiety are easily frightened. A great many things can scare someone with high anxiety. Unfortunately, it is often the person who is high in anxiety who is scaring themselves. How many of these thoughts do you entertain that result in feeding your anxiety monster until he is out of control? Threaten them. 50% chance of an earthquake in the next few years. Lots of bad things MAY happen. Particularly in the realm of nature and the environment. That earthquakes, hurricanes, tornadoes, and other weather phenomena may happen, does not guarantee they will. Even in those places where these catastrophic events take place the chances that you and yours will get through unharmed are better than the chances you will be injured. Don’t waste a lot of effort considering low probability events when there are high probability events around the corner. Does the chance something may happen, justify your using up space in your brain worrying about what may happen at some point off in the future. Eventually we humans all die but happy people live their life based on positive beliefs. Asking “what if” questions will scare you. Putting doubt in your head is a proven method to increase anxiety. Ruminating about the future is a sure-fire way to crank up your anxiety. Ask repeatedly “what if” questions about the future and you will discover plenty of possibilities to go wrong. Attitude towards waiting, traffic jams, lines, being late, can increase anxiety. For people high in anxiety any waiting is anxiety provoking. Where someone with less anxiety might interpret the wait is a chance to relax and de-stress the anxious person will use the time to worry about what might happen, how this is not the way things are “supposed” to go. Anxious people can catastrophize about any delay in plans. Remind yourself everyone is watching. Public speaking, presentations, inspections. There are lots of situations in life where people might be watching you. Giving a bad talk or presentation might get you noticed in an unfavorable light. The best remedy for that kind of unfavorable attention is to know what you are talking about and to thoroughly prepare that talk. Most of the time you will find that people are paying far less attention to you than you might wish. Even worse than doing a poor presentation, for the person who speaks a lot, is giving a good one and having no one notice. One thing you will discover if you investigate what others think about you is that most of the time, those other people are far too preoccupied with their own lives to notice what you did or did not do. Fuzzy directions can create immense anxiety. Planning to be on time only works if you know what is “on time” for the particular function you will be attending. What is appropriate for one situation and a group of people can be very inappropriate for another. The best way to quiet this fear is to do your homework or ask what is the proper time or attire. Ask if they noticed that mole, rash, lump, itch. You can spend countless hours of frantic involvement with your worries as you go over every inch of your body looking for imperfections to diagnose. Stop stressing and head to the doctor. They should be able to tell you what that mark is and put your mind to rest. You are not wrong to ask a friend about some new mark you see on their body, just do it in a gentle way knowing that the high anxiety person may anxious themselves beyond belief at your question. Have them work in a place with sudden unexplained noises. Someone with high anxiety is always on the lookout for sudden unexplained events, noises, and movement. Put that person on a work site that has random unexplained sights and sounds and by the end of the day, they are ready to become the proverbial basket case. Worse than ending up in that sort of environment by chance is the person with high anxiety who ignores their mental health needs and takes on an unsuitable job or those anxious people who are living in a situation with those random, sight and sound triggers. Wait till the last minute, for appointments, gas or essentials. If you are a high anxiety person you know how unnerving last-minute changes of plans can be. You have planned things out in advance to prevent unexpected occurrences and suddenly plans get changed with possible “catastrophic” results. If you have to live or work with an anxious person, plan ahead to avoid these last-minute emergencies. Stopping for gas on the way to the appointment may be no problem for you but the high anxiety person will come unglued at the thought that you may run out of gas or that you might be late for that appointment and then they would not be seen by the doctor and their cancer would go undiagnosed and they might die as a result —- See how that anxiety train picks up speed as they ruminate about unforeseen plan changes? Take them for a drive along the cliff when the river floods. There are a number of things that trigger anxiety so commonly these items made it into the most recent Diagnostic and Statistical Manual of Mental Disorders (DSM-5) in the section on specific phobias. While people can be specifically afraid of these things they can also be triggers for high anxiety even when the person with the fear attack is unaware of the phobia. The list of Specific Phobias includes animals, nature, blood and surgery, close or confined places, choking, vomiting and even costumed creatures. If you have a person with anxiety in your life, try to avoid doing these things and triggering that person’s anxiety. If you are the anxious person, how many of these things are you creating for yourself and are you willing to try some counseling to get past those anxiety triggers? 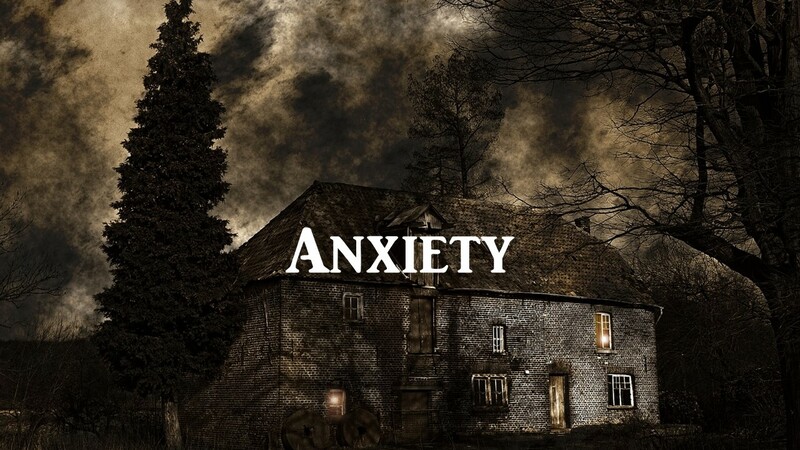 This entry was posted in Anxiety, Fear and tagged Anxiety, By David Joel Miller, Licensed Therapist & Licensed Counselor, MS, things people fear by David Joel Miller. Bookmark the permalink.